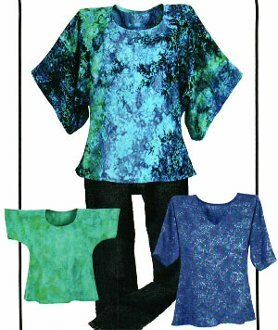 The Simple - Elegant Tee sewing pattern by Karen Nye of CNT Pattern Company. This is a one-piece pattern with interchangeable options that make it a must have addition to your wardrobe. This pattern offers 3 fantastic sleeve options to choose from: Kimono, Cap, Dolman. It also offers you 2 neckline options: Scoop & V-neck.